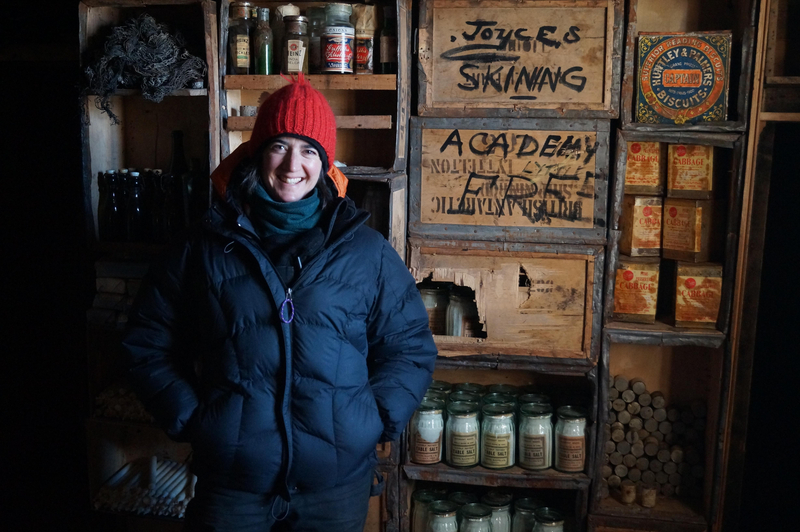 Lizzie Meek outside Cape Evans hut. Image by Alasdair Turner. 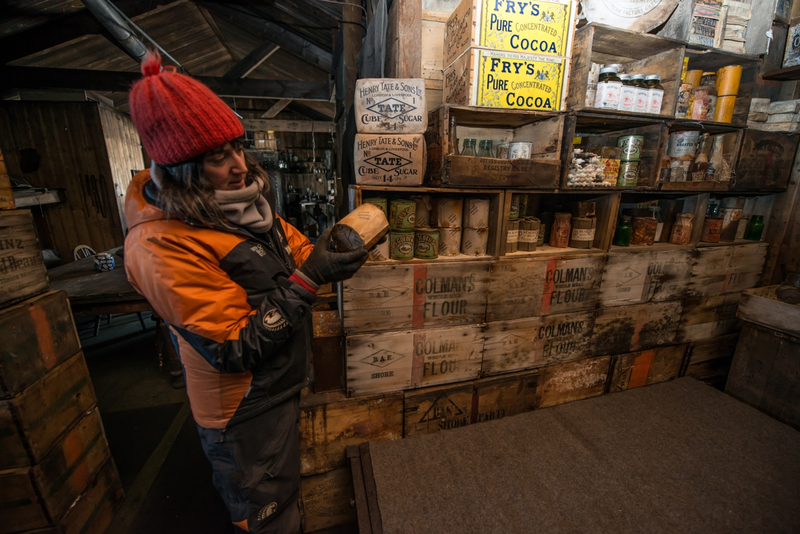 Lizzie Meek in the Cape Evans hut. Image by Alasdair Turner. 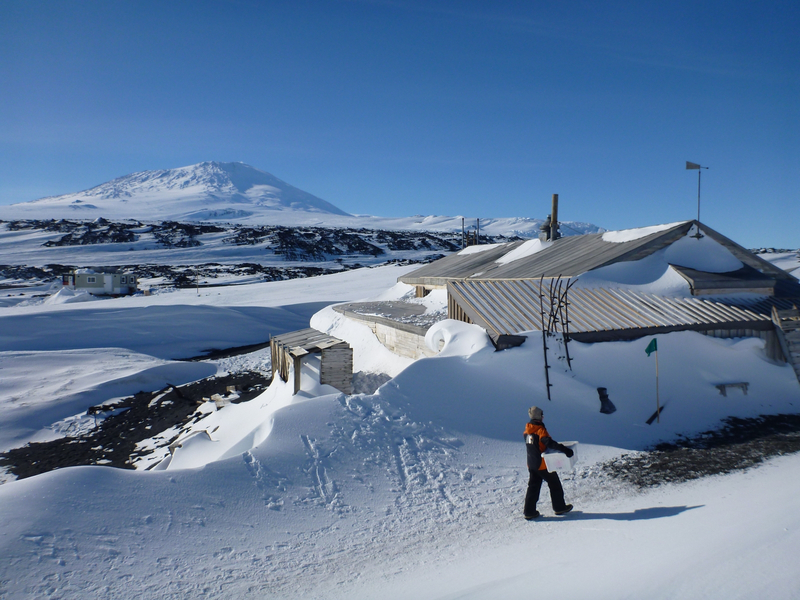 Lizzie Meek outside the Cape Royds hut. Image by Alasdair Turner.